The euro has been struggling these past months. Greece’s political crisis had a huge impact on the European currency; this is because Greek lawmakers weren’t able to elect a new president, so the parliament became dissolved. Greece own a large amount of money and negotiations will have to wait until the political unrest is solved. The USD has been in a steady raise lately because of the new oil-extracting techniques that allow for massive amounts of crude to be available for processing. This pair is called the “euro”; traders use nicknames to name pairs and to communicate more effectively and within the terms of Forex investing. Analysts agree that the USD/JPY pair will be steady for a couple months, but the Yen will eventually be able to recover itself and raise its value; this is because of the stimulus policies that Japan has incorporated into its economy this year. Data has also been creating optimism about the U.S. Economic recovery which will continue to take place with further development on the next semester. This pair is nicknamed by traders as “gopher”. Japan currently has a development issue which can be seen in its social scenario. Young people are less likely to have children more than ever before; Japanese people are focused in their jobs and careers more than ever, so a certain low mobility rate forms in their economy. To solve this, the government introduced stimulus packages to help the economy develop as much as possible, so the decline caused by population loss of growth is not as severe. The British pound and U.S. dollar pair is called “cable” by traders. Investors and politicians all over Europe have to brace themselves for Greece’s crisis to take a major step in its development. Greece has been in a financial pit for several years but thanks to the eurozone management, it has been able to sustain itself through rigorous reforms and new fiscal guidelines. Sadly, employment has been around 25 percent and polls show that Greeks are supporting a new leftist movement which rejects the budget-cutting measures that the current administration has applied. 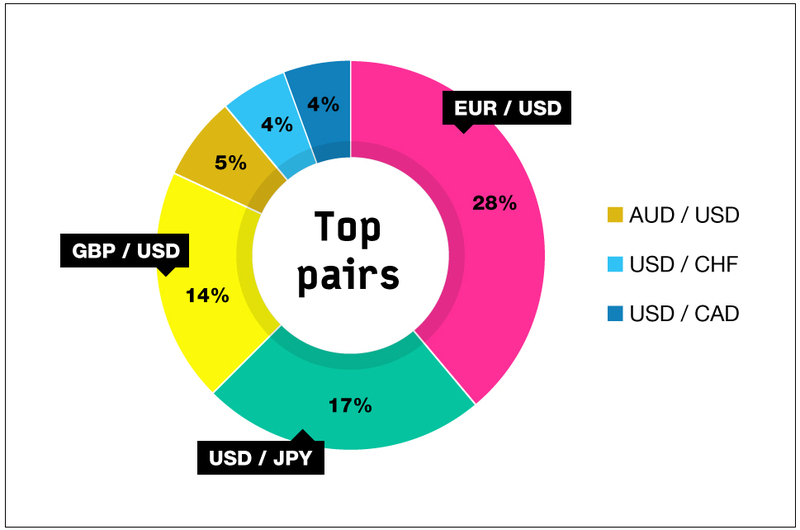 The Australian dollar and American dollar pair is called “Aussie” and it has a positive correlation with other major currencies such as the Canadian dollar and the Japanese Yen. Analysts suggest that Australia is starting to dive head-first into severe economic events that may tipple the country’s financial support. The acting government treasurer has established that there is an ongoing crisis but little has been done to solve it; employee incomes do not seem to be able to rise in the short term and people are starting to suffer the effects of underemployment and staff cutting. But all is in the early stages of development, so there is more than enough time to research the correct measures to take. Australia is undergoing a crisis, but is not as severe as other country’s with political turmoil or social unrest of sorts, which has deeper consequences and both issues are more complicated to resolve.